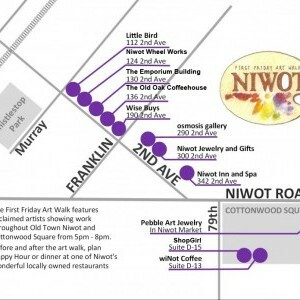 Every first Friday of the month, osmosis art & architecture hosts First Friday Art Walks in conjunction with the Niwot Cultural Arts Association. 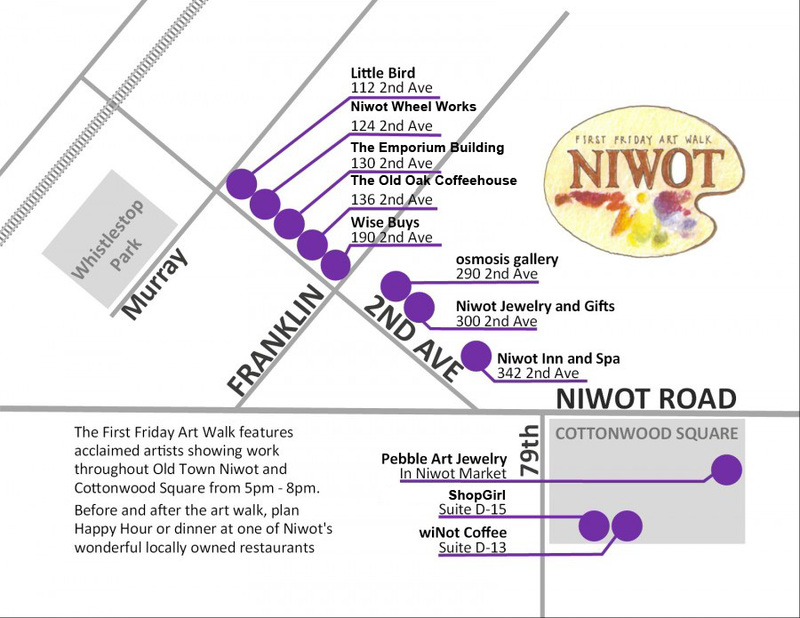 Every first Friday of the month, osmosis art & architecture hosts First Friday Art Walks in conjunction with the Niwot Cultural Arts Association. 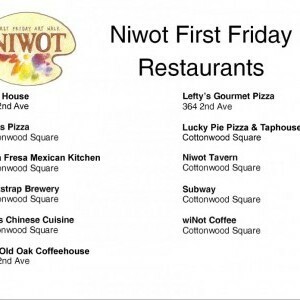 Niwot businesses stay open late and most offer refreshments; in the summer there's often music in the streets and in front some businesses. Each month is a little bit different. The collection of art in various forms at osmosis art gallery is truly something to behold. 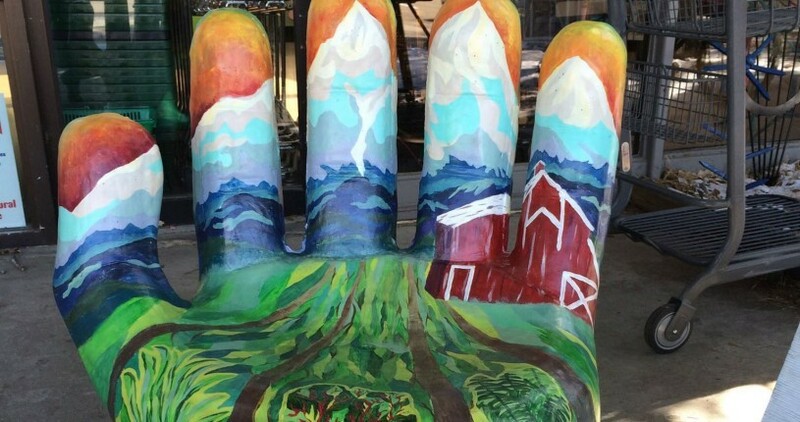 Owner Anne Postle and her team have gathered a finely curated selection of Colorado artists and their works, and each month brings a new show and new things surprisingly beautiful. 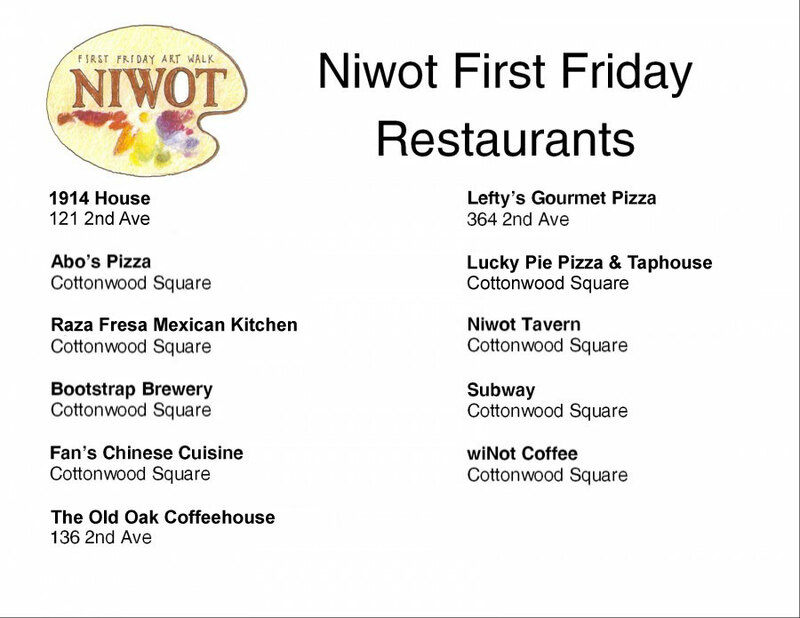 You must drop by when visiting Niwot; you'll be glad you did.